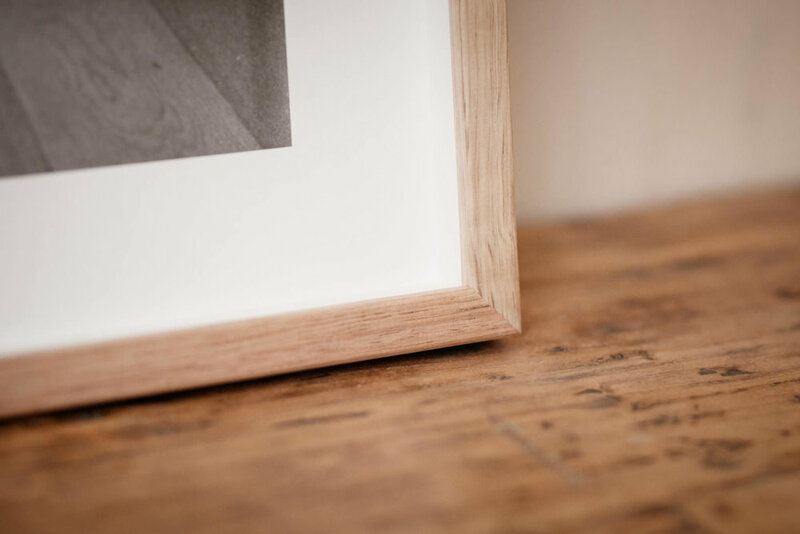 There is just nothing like having a special photograph printed on beautiful paper and framed professionally. This is the kind of frame that will hang anywhere and look like it has always been there. See frame examples below. Hover on image to see colour names. Colours available: black, white, tasmanian oak (raw finish), heartwood (raw finish) or miltwood (raw finish). Ultra Matte coal/walnut/ash/aged oak/limewash. 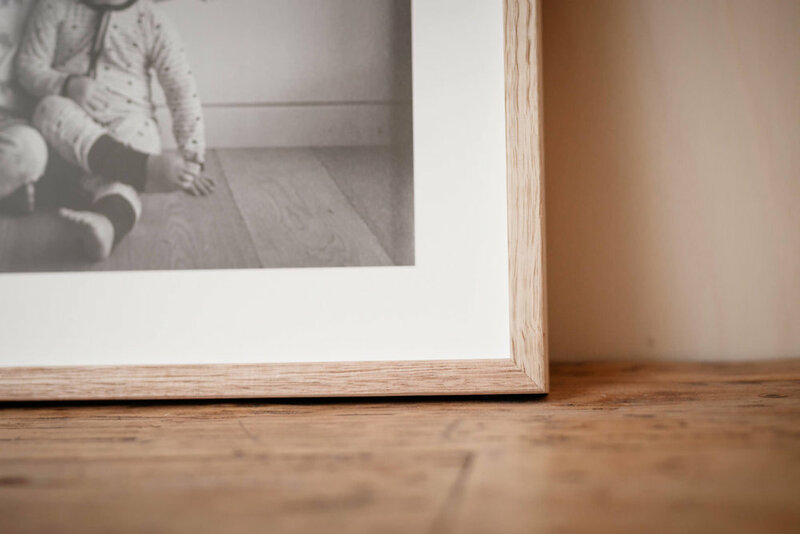 The frame comes with a mat that surrounds the photograph to allow it to really stand out. 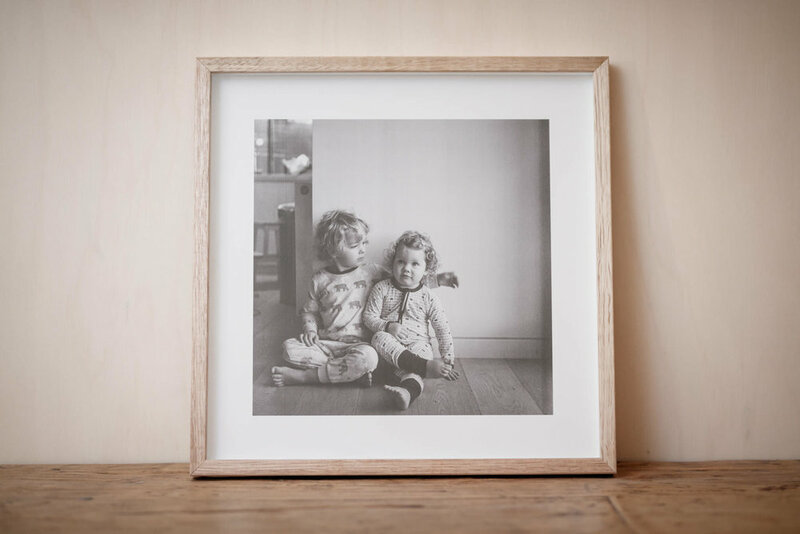 Your finished and checked print will be carefully mounted to board with archival adhesive, then framed in our Italian sourced mouldings with a lightweight acrylic glazing that protects your picture.